In this paper, we address the methodological issues of conducting a Q method study in cross cultural research settings. 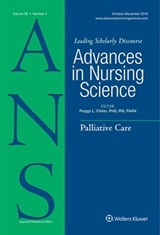 Four researchers from Australia and South Korea conducted a pilot study using Q methodology design in Japan and South Korea to learn about nurses’ health beliefs. During the research process, we encountered methodological issues and cross-cultural issues which we would like to share with other researchers who may be planning to conduct a Q methodology study. Despite its infrequent use in nursing, Q methodology can yield rich information about differing perspectives. This information might be difficult to uncover using conventional research approaches. The findings of the pilot study are presented in Nurse Education Today. The learning from our initial research in Japan and Korea as described in ‘Practical issues of conducting a Q methodology study’ was used in a recently completed five country study The aim of this study was to provide understanding of health belief content, origin, socio-cultural and other influencing factors held by clinical nurses and nursing academics in Japan, Australia, China, South Korea, and Thailand, and its impact on their nursing practice and education. We are looking forward to publishing these fascinating results in the near future.